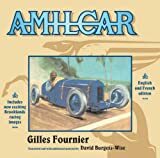 (English, French) Despite their English-sounding names, Amilcar (1921–1939) and Salmson were the quintessential light French sports cars of the 1920s. 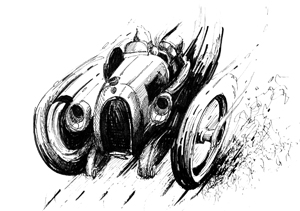 Starting with cyclecars, in which France was a pioneer, the company also built all-out racecars and light touring cars, and was taken over by Hotchkiss in 1937. Despite having an ambitious maker, a well-liked product, tremendous racing success, foreign representation and even manufacture of its product, and technical innovation, the company was no match for the economic stresses prevalent in the Europe of the inter-war years. The short but complex story is told here in all relevant detail, richly illustrated with photos, drawings, ads, road tests etc. Sidebars cover events, patents, and key figures. The narrative unfolds in chronological order and by model. 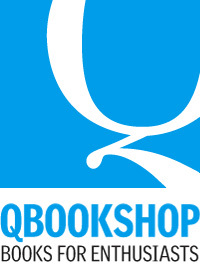 Racing and foreign activities are handled in separate chapters. 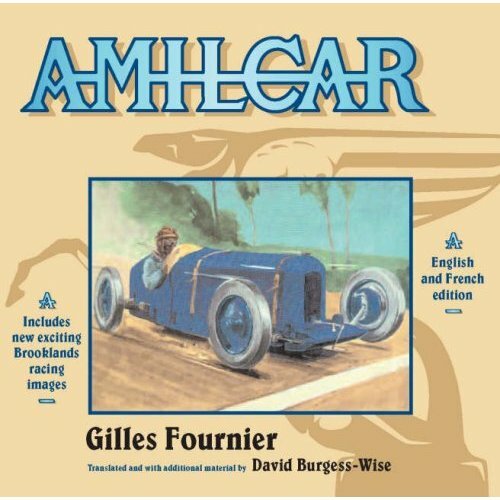 An entire chapter is about Brooklands racing, including seven pages of Amilcar records. 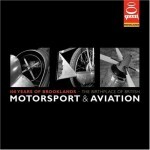 The English version includes previously unpublished photographs from the Brooklands archives. That track is of course of great significance to British racing and pretty much anyone with an interest in any of the marques that raced there will find much of crossover interest in this book, especially the photos. A “Technical Manual” contains extensive specs by year and type, and many chassis drawings. Volume 1 and 2 are numbered consecutively (not clear why); vol. 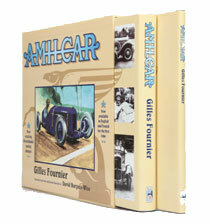 2 contains the text of the 1994 French edition (long out of print), but without the illustrations. Both volumes, incidentally, have a properly rounded spine. All the photos have been given a distinct sepia tone, surely a conscious choice by the designer. In every regard, from contents to presentation (typefaces, colors, layout, photo reproduction, paper, embossed covers), this is a supremely desirable, satisfying, and impressive book—the proverbial “cut above” and worth every centime!